Jacket for men, medium length and slim fit. Made of technical micro twill 3 layers 100% polyester waterproof, water repellent, and breathable. Padded with pure 90/10 goose down with quilted lining in light nylon micro Ripstop. Heat-taped and windproof seams. 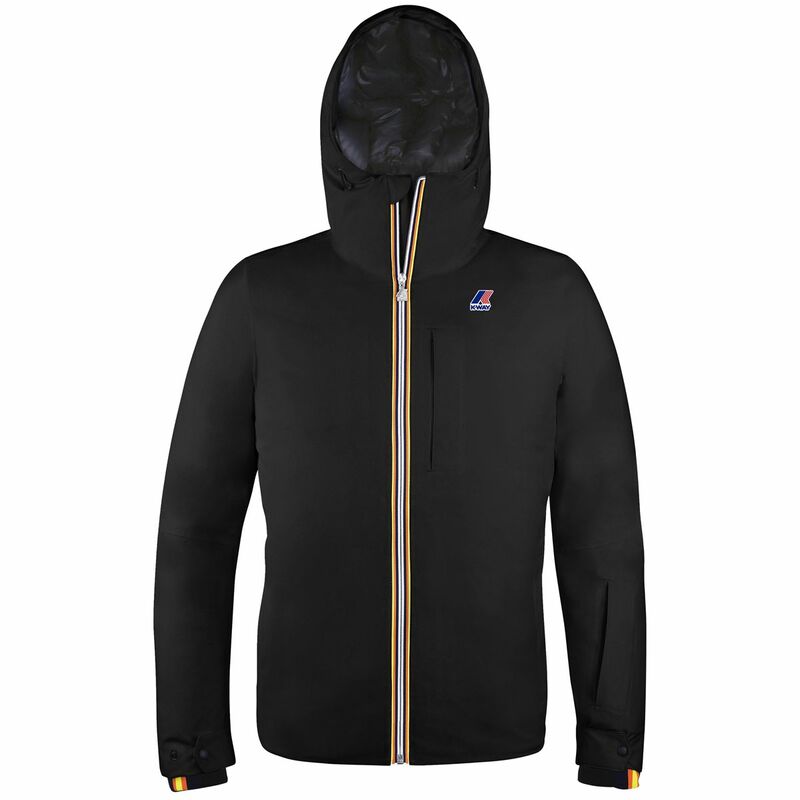 K-Way full zip frontal opening and metal puller. K-Way windproof gaiter inside cuffs and waist. 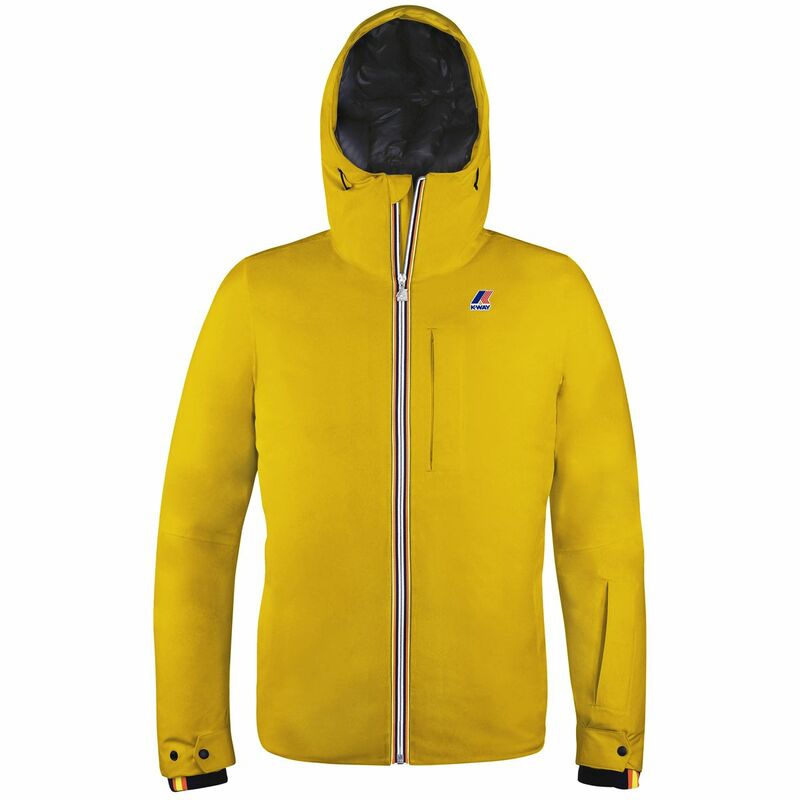 Mountain hood adjustable with elastic, two side pockets with zip hidden by textile plaque, front pocket with hidden vertical zip and fourth pocket on the sleeve with zip opening. Adjustable cuffs with snap. Inner QR label and printed K-Way logo.